Background/Purpose: In chronic inflammatory conditions, the need for a more objective measurement of disease activity has been identified, where dynamic contrast enhanced (DCE) MRI as imaging biomarker has been studied in RA. In children with juvenile idiopathic arthritis (JIA) similar knowledge is very limited. The purpose was to compare treatment related changes of clinical scores in patients with JIA and automated DCE-MRI quantitative parameters analyzed with a dedicated software Dynamikatm also compared to clinical outcomes of the patients. Methods: In patients with polyarticular JIA with insufficient (≥3 affected joints) response or intolerance to ≥3 months Methotrexate, Etanercept was started. Six Slice Axial DCE-MRI of the metacarpophaleangeal (MCP) 2-5 joints in the clinically most affected hand was performed at 3 time points: baseline (BL), month 3 and 6 of treatment using a 0.2 Tesla Esaote C-Scan. Clinical scores included active joint (AJ) counts. Clinical response was considered a state of ≤ 3 AJ. DCE-MRI was analyzed using regions of interest (ROI) covering synovium in slices where MCPs 2-5 were visible. Output parameters included dynamic MRI quantification scores (DEMRIQvol) corresponding to the volume of enhancing voxels within the synovial ROIs alone or multiplied with the mean of the maximum enhancement (ME) or the initial rate of enhancement (IRE) . Differences in DEMRIQvol scores between visits were analyzed using t-test (p<0.05* = statistically significant, p<0.25** = clinically meaningful). Concordance between clinical and DEMRIQvol scores were described. Results: 18 Caucasian patients (12 girls, median age 12,6 years, median disease duration 1,2 years) were included in the study. Two patients discontinued imaging after BL but continued treatment. In all but 3 of the remaining patients statistically significant and/or clinically meaningful changes were documented for DEMRIQ ME between visits. In 4 patients clinical and DEMRIQvol scores showed corresponded changes. In all other patients clinical and DEMRIQvol scores were non-concordant. In all patients subclinical disease could be detected on MRI in clinically unaffected joints. Conclusion: Dynamika based scores appear to be useful for depicting disease activity in JIA and seem to support clinical examination by detecting subclinical inflammation. More over, in the present study DEMRIQvol scores were predictive for the outcome of the patients and were able to “foresee” response to treatment, flare of disease, non-response to treatment in most patients possibly making DEMRIQvol scores supportive in research and clinical decision taking. Disclosure: N. Tzaribachev, None; R. Hagoug, 3; P. Louka, 3; J. Islam, 3; M. Hinton, 3; O. Kubassova, 3; M. Boesen, 6. Tzaribachev N, Hagoug R, Louka P, Islam J, Hinton M, Kubassova O, Boesen M. Quantification of Dynamic MRI examinations in Juvenile Idiopathic Arthritis [abstract]. Arthritis Rheumatol. 2017; 69 (suppl 4). 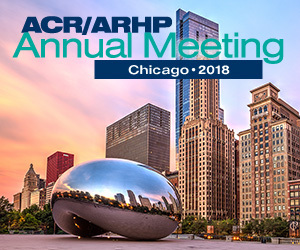 https://acrabstracts.org/abstract/quantification-of-dynamic-mri-examinations-in-juvenile-idiopathic-arthritis/. Accessed April 20, 2019.